Happy Friday! I meant to post this yesterday, but got so busy in the last two days it never happened. Here's a few shots from Easter Sunday. 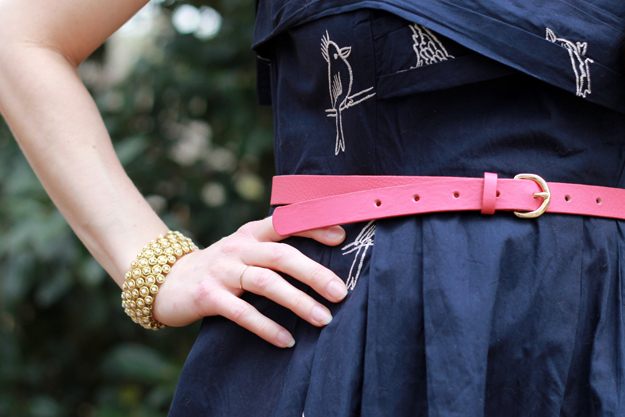 I wore this fun bird-embroided eShakti custom dress. Even though Spring is here, since it's been so chilly lately, I felt the darker color worked well. Plus I was at my parents' lakehouse so there's no need for anything fancy. Have a wonderful weekend (and isn't Bandit just too cute in this shot!?)! Please tell me that bunny is fake! Nothing that cute can exist, oh my gosh, no. 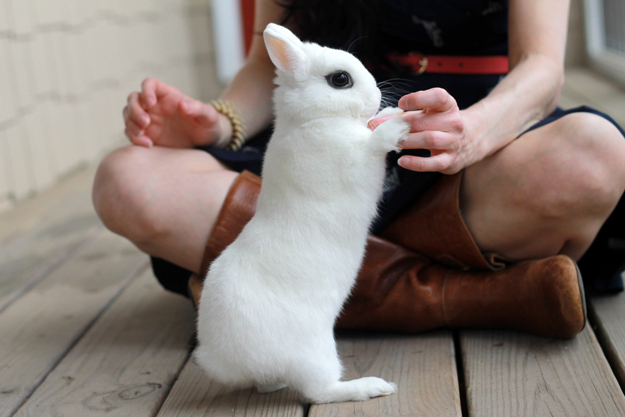 omg what a cute bunny and of course perfect outfit! xO! Loving the top and you look beautiful, Mary Ann! are we going to see you on television sometime soon?